Cook pasta per package directions. While pasta is cooking, heat the oil and sauté the onions about 5 minutes until golden. Add the garlic and sauté 1 minute. Add salt, pepper, sage, peas and water. Bring to a boil, reduce flame and simmer about 5 to 7 minutes. 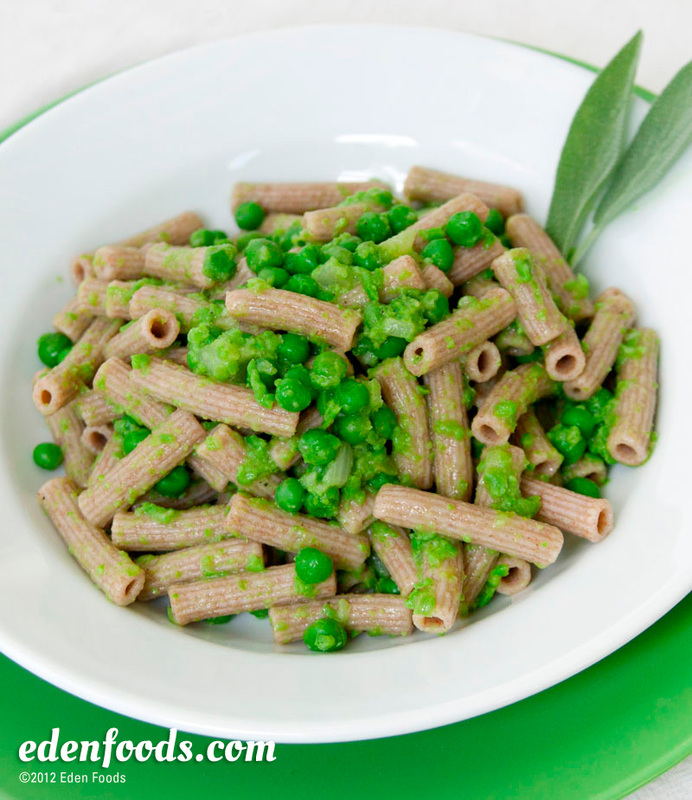 If using fresh peas, cook about 12 minutes or until tender. Remove half of the peas and liquid, and puree in a blender until smooth. Combine the pureed peas with remaining whole peas. Mix thoroughly. When the pasta is done, remove, drain and serve with fresh pea mixture on top of each serving or mix the sauce together with the pasta and serve.